Welcome to the CC josdu! Great to have you here. Yes, but don't worry, the first SfK GC will be announced soon. Then why did't you add me? That was my sub as well as picture you know. 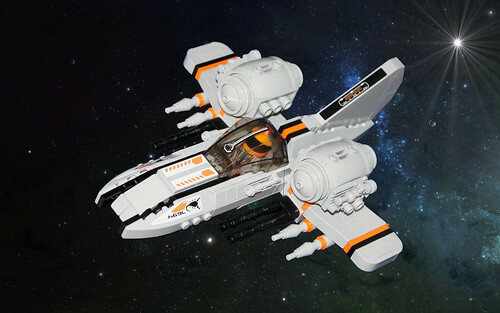 The speedy "Shadow fighter" is built for both speed and fighting power and is one of the Centuri's most modern fighters. Also it is one of Forbes' favorites. 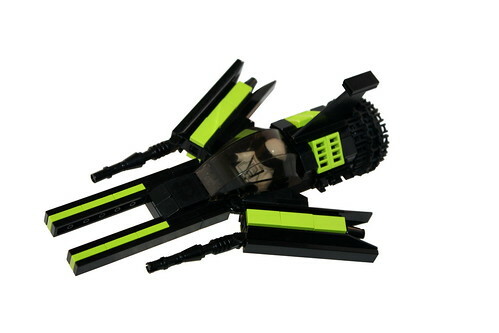 My second NoVVember Freebuild, the Nova League Stinger Starfighter. Bio: Kilvane Frost was once a Lieutenant in the Royal Army on the capital planet of his solar system. 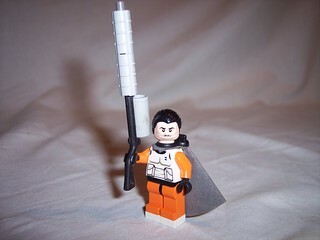 Once it became known that the Royal Army was in league with the Separatists and was making money off of war and the misfortune of the system's people, Kilvane led a rebellion against the tyrannical Royal Army. Kilvane suffered many injuries during the wars, but being a master of technology, much of his body was replaced with cybernetics of his own design. The cybernetics vastly improved his body functions - extending his life exponentially - but as he slowly became more machine than man, he became cold and calculating, forgetting his way and abandoning the Rebellion altogether. Hungry for more power yet driven by a deluded sense of honor, Kilvane traveled the galaxy as a bounty hunter and gun for hire, amassing both riches and an even better knowledge of battle and technological advancements. While fleeing a battalion of Royal cruisers with a very expensive mark on board, a miscalculation in his ship's navigation system led him directly into a wormhole, throwing him into the Klegon Galaxy. Low on fuel, Kilvane landed on the nearest planet - the Centuri capital Cygnus - where he negotiated a position as an assassin. His ties to the Centuri are tenuous, however, as Kilvane still actively collects bounties throughout the galaxy and it's rumored he has connections with the Nova League. The trademark ship of bounty hunter Kilvane Frost. 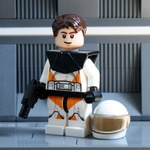 Outfitted with plasma cannons, seeker missiles, fission missiles, and deployable EMP charges and V.II Sabotage droids. 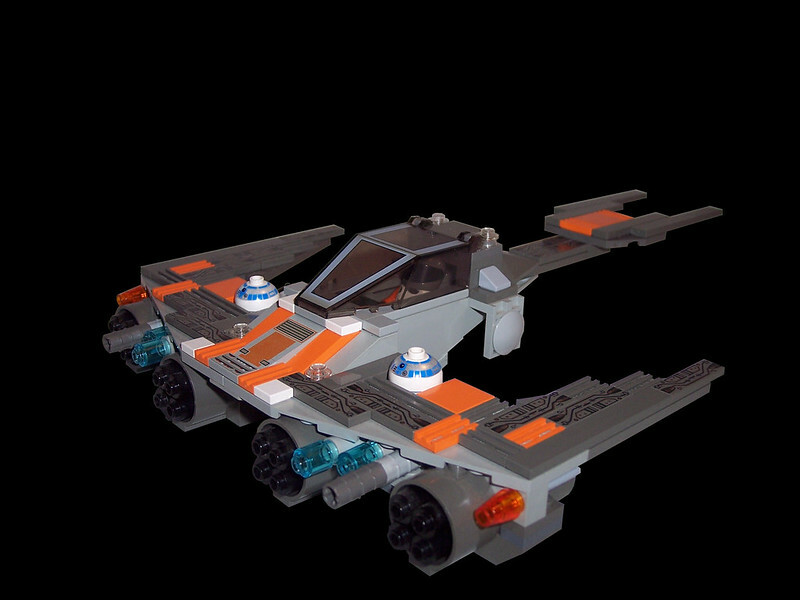 Two hyper-computing droids run the ship's technological systems, including two high-powered scrambling devices that render the ship undetectable on radar and immune to targeting systems. Four thruster-type engines give the Manta unrivaled speed and maneuverability for a ship of its size. Welcome to the CC Kilvane Frost! Thanks, man! Here's my first freebuild, I guess, for December - even though it's just an upgraded version of my last build. The trademark ship of bounty hunter Kilvane Frost. 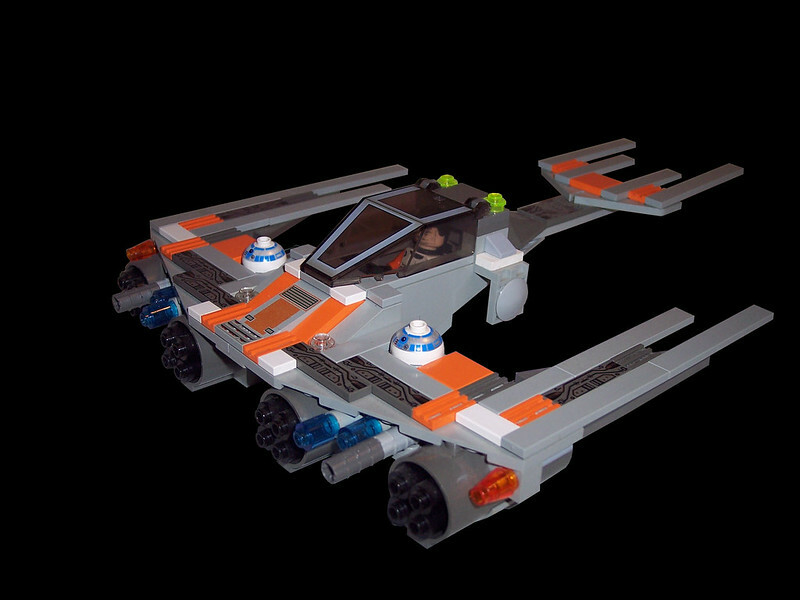 Outfitted with plasma cannons, seeker missiles, fission missiles, and rear-deploying seismic charges and V.II Sabotage droids. Two hyper-computing droids run the ship's technological systems, including two high-powered scrambling devices that render the ship undetectable on radar and immune to targeting systems. Four thruster-type engines give the Manta unrivaled speed and maneuverability for a ship of its size. I thinned the end of the tail section and strengthened the housing around the engines. I also altered the wing sections and gave the whole ship a "new coat of paint" to incorporate more of a stealth look while still maintaining the Centuri feel. Sorry for the bad picture quality; the electrical plates give a lot of reflective surface to the ship - which looks awesome in person but reflects too much light back at the camera. The new Galactic Challenge is now up! Let's all try our best to participate!